Mairi began driving lessons on her seventeenth birthday keen to get on the road as driving would open up a lot of opportunities for her. I had a few years earlier I had taught Mairi’s older brother Lewis to drive so she could see how much freedom this has given him. Mairi was still at school and attended a school in Edinburgh so hopefully once she has passed she will be able to come and go a lot more. 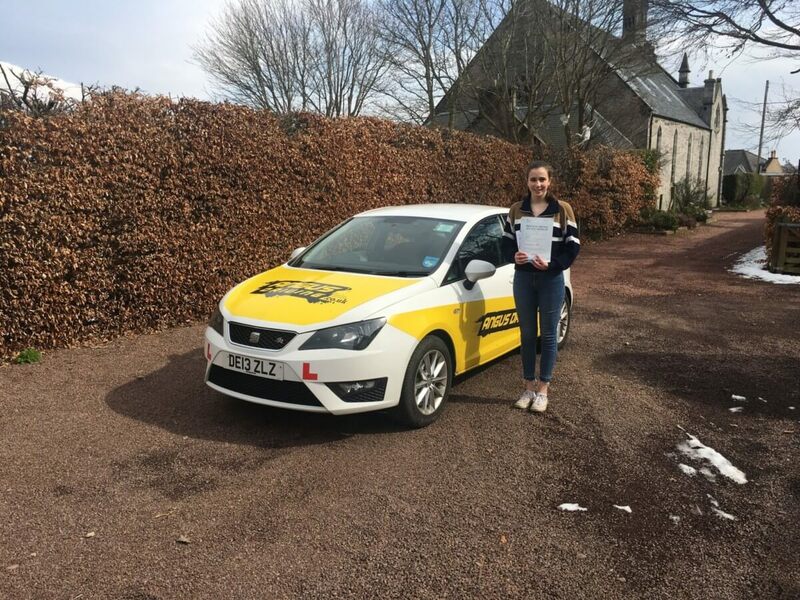 We began driving lessons at the end of 2017 and Mairi picked things up very quickly we had to contend with the extreme weather a lot of the time with many lessons taking place in snow and icy conditions. This was also great experience as dry conditions will be far more predictable. After mastering driving around the housing estates in Roslin we branched out to the edge of Edinburgh where we took on roundabouts and every other challenge we could find. Mairi did really well with learning from her mistakes and applying her new knowledge in other parts of Edinburgh. After building lots of momentum and successfully passing her theory test Mairi lined up her driving test for her easter holidays. I was glad to see that the weather was okay on the day as we had had so many snow days over the last few months. Mairi did really well passing her driving test on her first attempt in Edinburgh.